Loses the one that owns, that controls, that holds on to something. The one who loses, tights the grip of ownership and extends it until it is no longer in their hands. But do we truly own anything? Do we own people, thoughts, feelings? We feel we do because we don’t accept that they come and go and their image is a mental reflection, not the real thing. The real deal happens in the present moment, it has no memory or expectation, no past and no future. We don’t own anything, we experience everything. We experience thoughts, feelings, people, circumstances. Let go of the grip and let life guide you across its own river. We are already floating here, safely being carried from one moment to another. We’re so focused on our perspective, our little frame of reference in this vast realm of phenomena, that we refuse to look wide and high and experience the totality of the moment. It may be scary at first to let go of control, but it becomes easy when we realize we don’t control anything, we never have and never will. We are mere observers and guests in this stream of life, yet so iconic and important as each of us are the points of reference from which all this life unfolds. We swim towards our goals and desires, but do we control what happens? With our attention we pinpoint and manifest existence, what happens behind the curtains is still a mystery to us. Live — this is the main message that all the doctrines, sages, religions, rites and mysteries has taught us for thousands of years. In living we experience, in experiencing we understand each other, and when we do, life unfolds magically in a way we never thought possible. Lose your control, you control nothing. Emphasize your life in letting go, shredding the unessential, the one that you have told yourself many times or have done many times that led you to the same Street, experiencing the same things. Live a life of wonder and become your own adventurer, find out more about yourself, dare to investigate deeper into who you are, your fears, your pains, your emotions, your dreams. The adventurer explores, doesn’t strive to control. The adventurer only conquers themselves. 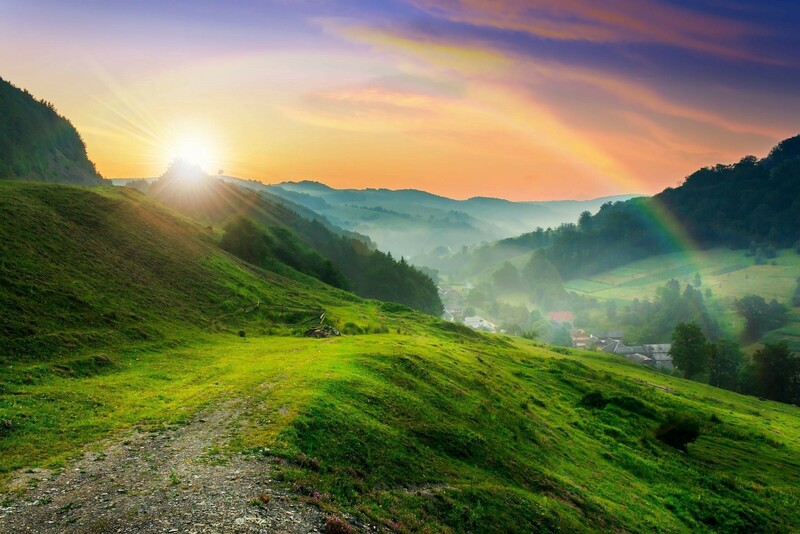 The valley of our lives from dawn to dusk is complete with light, rainbow, shadows, pitfalls, dangers. Life is so complete that has an array of everything that make it worth living. Dwell in them fully. But remember. The pain and darkness is temporary. We as humans are temporary. Use the temporary to nourish the eternal, ourselves. We are the consciousness that experiences the passing of everything, this is what never ceases to exists, that perdures despite how old we are, how we think, and how we feel. The temporary experiences nourish the eternal when used as a way to learn. Lose control. Gain experience. Live.